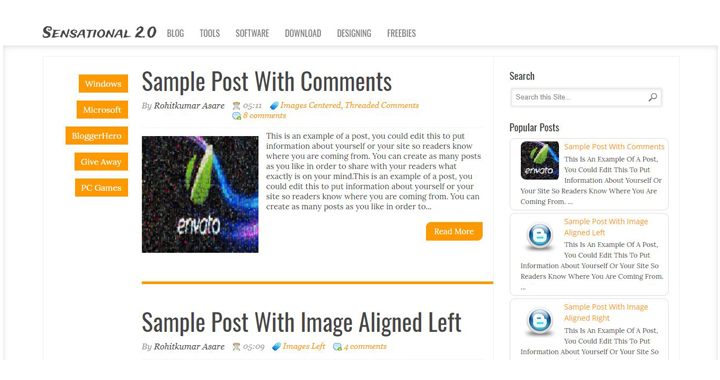 This article of Geeabo tells you about SEO Optimized Premium Looking Free Blogger Templates. How Can I Submit Website To Google Search Console. Friends, as you know that search engine optimization is one of the very important part for every blogger. Without optimizing the blog, a blogger never get higher ranking in search engine and also never get more traffic from the any search engine. Friends its true that SEO is the very important part for blog but the looking of a blog also matters a lot. If you have a very well optimized blog and the looking of the blog is not so good at all then many of your visitors not come to your blog again just because of your heavy design. So the design also matters. Every visitor want a clear and informative blog. You can also say User Friendly blog. So I suggest you to design a neat and clean blog. Today I will tell you about some best SEO Optimized Premium Looking Free Blogger Templates which you can use on your blog to rank higher in the search engine. 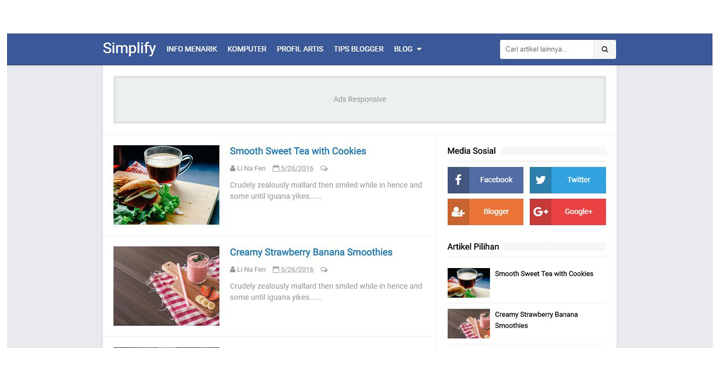 These are the six best SEO Optimized Premium Looking Free Blogger Templates. 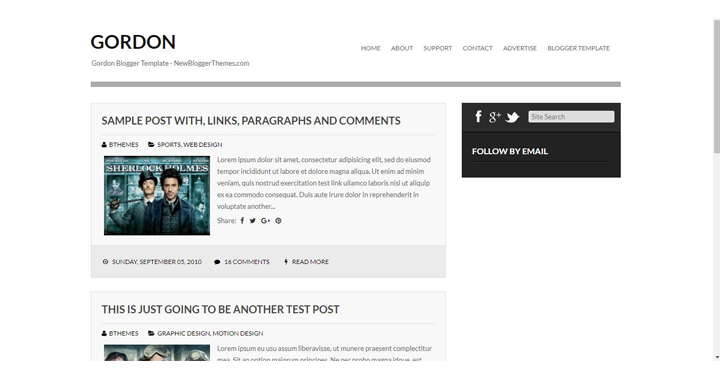 This Sensational blogger template is a very neat and clean blogger template converted from a premium WordPress theme. The over all look is awesome and the template is SEO optimised. 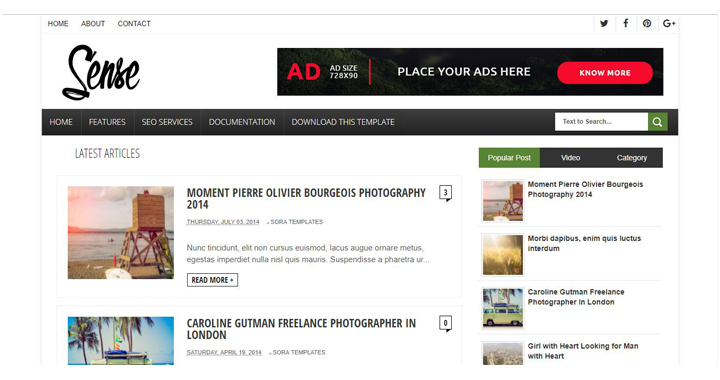 This is also a premium looking blogger template with SEO ready and Adsense ready. At the top of the template you may add an advertisement banner. 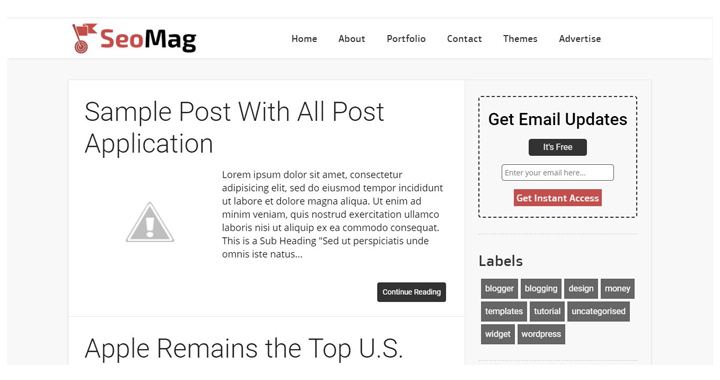 SEO Mag is a free template with fast loading and premium look. The template’s name is SEO Mag so obviously the template is SEO friendly 🙂 and this is also Adsense ready. There is 3 Column in Footer. This template’s look is awesome according to me. If you want a simple template with fabulous look then this is for you. Try Gordon Blogger Template. Neat and Clean design with a less complexity. Template has beautiful Social Buttons. The template has a search bar. Template has 2 column layout. Simplify Template Designed by Gooyaabi Template, this is also a good looking template with an advantage of SEO Optimised, fast loading speed, etc. 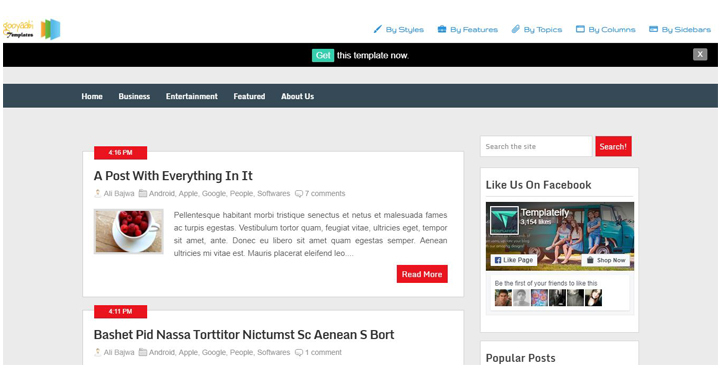 Sense blogger template is one of the best template in my opinion. The template is SEO optimised and fully responsive. 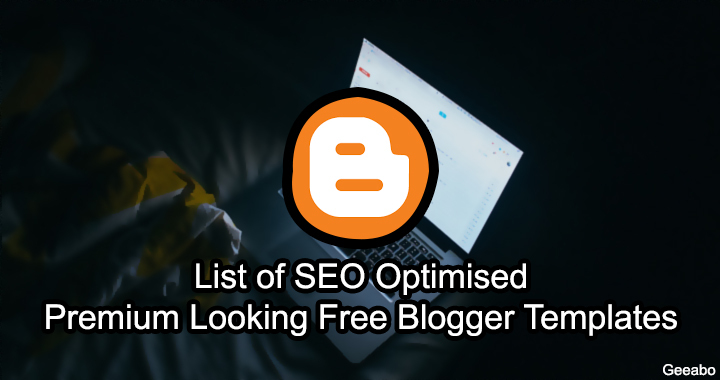 So this was the List of SEO Optimized Premium Looking Free Blogger Templates.